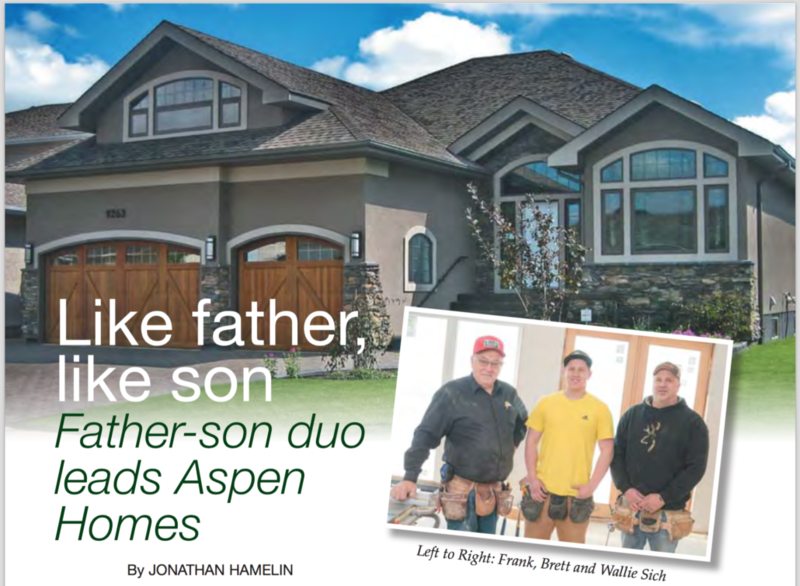 One owns a smart phone while the other avoids computers, but the generational differences between the father-son duo of Frank and Wallie Sich haven’t detracted from their success as the dynamic team behind Aspen Homes Ltd. in Regina. 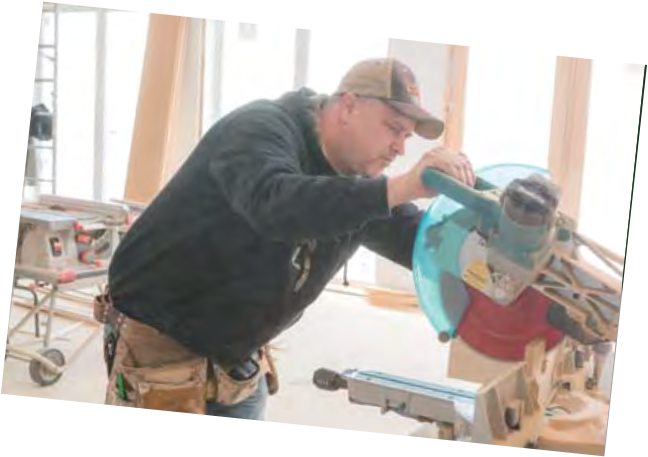 A master carpenter, Frank has held a Canadian Journeyman’s Status Interprovincial Certificate in carpentry for over 46 years. After working diligently for a local contractor, Frank decided to become his own boss. He established Aspen Homes in 1985 with his wife Rita. Soon after finishing high school, his son Wallie joined the team. 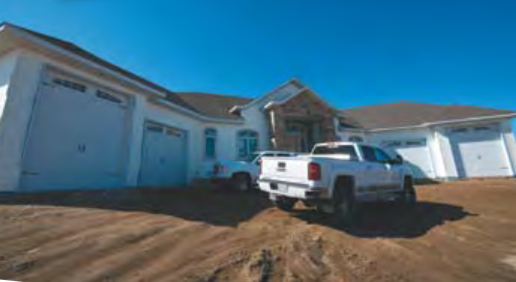 For 25 years, the duo has been delivering quality custom homes to their customers. The father-son team complement each other well. Frank supervises the job site and helps to build and complete all aspects of a new home, while also handling the company’s finances. Wallie excels in customer service and individualizing people’s homes tailored to their specific needs. Aspen Homes’ family connection goes beyond Frank and Wallie. Frank’s wife, Rita, does some general office work for the company – and, as Wallie notes, often ensures everyone is getting well-fed at meal times. Now a third generation has joined Aspen Homes, following in their grandfather’s and father’s footsteps. Wallie’s oldest son Brett currently works with the company full-time. His other sons – Brad, Brock and Bryce – also work for the company at times. Being able to forge a connection with the community has helped Aspen Homes flourish over the years. Resolved to share their success with others, the family proudly supports a variety of community initiatives. And though Aspen Homes has enjoyed financial success, the company has maintained a steady focus, building four to eight custom houses a year – ranging in price from around $400,000 to residences approaching $2 million. Concentrating on a lower volume of projects means that Aspen Homes has the ability to make each house as unique and as custom as the homeowner desires. As Frank explains, the company is a “custom home builder, not a cookie cutter builder.” Aspen Homes currently has lots for sale in popular neighbourhoods including The Greens on Gardiner and Harbour Landing. As the saying goes, it’s not how you start but how you finish. Frank notes that finishing is truly the specialty of Aspen Homes. The company does its own finishing work and Frank has been called one of the best finishers in Regina. The builder’s craftsmanship and attention to detail is readily apparent in stylish touches including tyndalstone trims, hardwood flooring, coffered ceilings, granite countertops and custom kitchens. 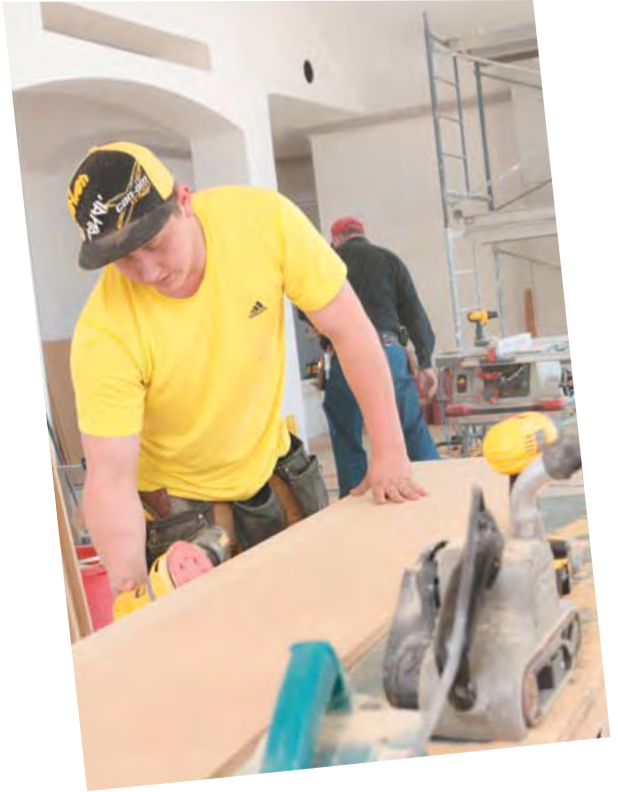 To stay on top of all the latest information and building code updates, Frank says the company relies on the Regina & Region Home Builders’ Association (RRHBA), which Aspen Homes has been a member of since 1994. Aspen Homes is also registered with the New Home Warranty Program of Saskatchewan Inc. (NHWP), which offers third party new home warranty for home buyers in the province. Aspen Homes has attained the NHWP’s Platinum Service Award, achieving over 20 years of outstanding customer service. With his own son now working for Aspen Homes, Wallie notes it has been interesting for him to come full circle, looking back to the days when he was working for his father just out of high school. Being able to build up the business alongside family is also a source of pride. “I’m extremely proud. It’s not the easiest thing to do in any business to try and survive in a market, let alone to try to be successful plus do it with family,” he said. “It’s a lot of hard work, often times a seven day a week commitment. If we have to work and get things done, we do it. My sons – sometimes willingly, sometimes persuaded – have adapted to that as well.